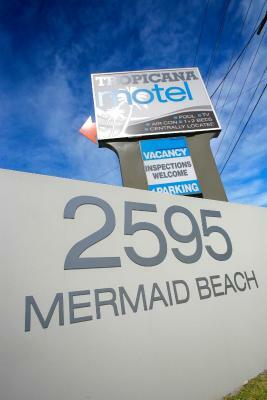 Lock in a great price for Tropicana Motel – rated 8.9 by recent guests! It is a nice motel, but is very noisy with the traffic right on the Gold Coast Highway, very basic, internet did not work, and it was very pricey. Overpriced. Great value for money. No frills but has obviously been recently renovated so is nice and modern. Clean, comfortable, close to the beach, Surfers, and plenty more. We used as a base to sleep only, and it was ideal. Even gave us a room with a new mattress when I mentioned my husband has a sore back. Parking straight outside. it was very clean in a good area for what we need. Excellent location for events at The Star. Great friendly service, nice modern clean rooms. Very clean , air- con is great and showers are amazing was a lovely stay. Old school look outside, with lovely refurbished, clean rooms inside. Small pool perfect to refresh in after shopping at Pacific Fair which is right across the road. 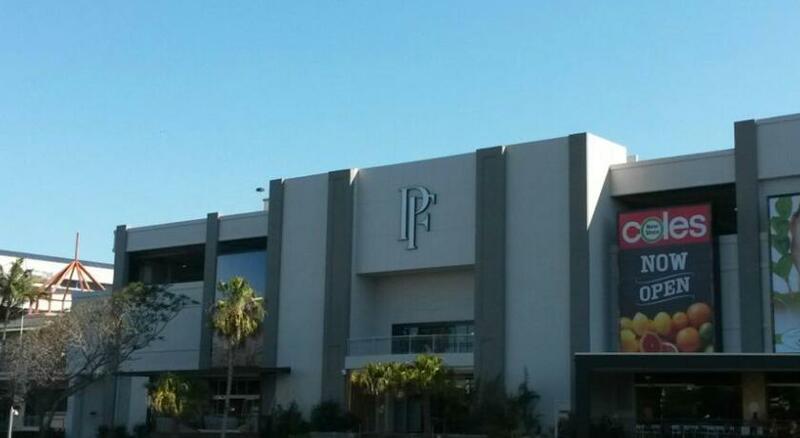 Also Dracula’s and Star Casino are a very easy walk just round the corner. Tropicana Motel This rating is a reflection of how the property compares to the industry standard when it comes to price, facilities and services available. It's based on a self-evaluation by the property. Use this rating to help choose your stay! 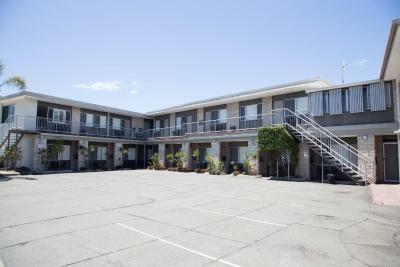 Just a 3-minute walk from the beach, Tropicana Motel features air-conditioned rooms with 42-inch plasma-screen TV. Guests can relax next to the outdoor swimming pool. Tropicana Motel Gold Coast is a 10-minute walk from Jupiters Casino and the restaurants, bars and nightlife of Broadbeach. Coolangatta Gold Coast Airport is a 20-minute drive away. All rooms include air conditioning and heating. There is also a microwave, tea/coffee-making facilities, a toaster, cutlery and dishes in every room. Free off-street parking is provided. Guest laundry facilities are available. There is a bus stop right outside the motel, providing convenient service to all of the Gold Coast’s attractions. 뀐 Located in the top-rated area in Gold Coast, this property has an excellent location score of 9.0! When would you like to stay at Tropicana Motel? This room includes a microwave and tea/coffee-making facilities. Area Info – This neighborhood is a great choice for travelers interested in theme parks, shopping and beaches – Check location Excellent location – show map Guests loved walking around the neighborhood! House Rules Tropicana Motel takes special requests – add in the next step! Tropicana Motel accepts these cards and reserves the right to temporarily hold an amount prior to arrival. Please note that Tropicana Motel does not accept payments with American Express credit cards. Check-in is from 14:00 to 18:00. Please note that if you expect to check in after 18:00 or outside the normal reception opening times, you will need to contact Tropicana Motel in advance to arrange key collection. Please note that daily data download limits apply to the free WiFi. Please contact the property for more information using the details found on the booking confirmation. Please inform Tropicana Motel of your expected arrival time in advance. You can use the Special Requests box when booking, or contact the property directly using the contact details in your confirmation. Excellent location, suoer friendly staff, very clean rooms. As a smoker you had to go right round the far end of the building to have a cigarette. Staff was friendly. Shower was huge. Parking area was small but wasn’t an issue. Incredibly rude staff, the rooms smelt like raw meat, there were cockroaches everywhere. Disgusted! Stairs to access our room quite steep especially getting luggage up if you are in your 70’s my 50year old daughter managed ok, so I would request ground floor if you’re in that age bracket. Fresh milk instead of long life milk. Great value for the money. Fantastic location. Great bed, clean, large tv + foxtel.